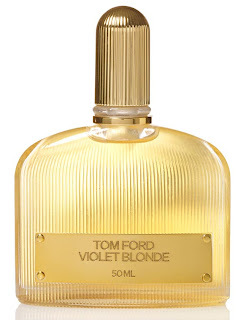 The first of 3 new Signature collection fragrances to be released by Tom Ford this year, Violet Blonde is a fronted by a beautiful ad campaign of a blonde bombshell lying on a bed of violets in full bloom. This image evokes an air of mysterious feminity and sophistication and had me keen on getting a whiff of the juice behind the story. Packaged in the hallmark Tom Ford slim-profiled ribbed glass bottle, tall gold domed ribbed cap with a golden plaque bearing the Tom Ford logo and Violet Blonde name etched into the bottle's body, it adds a definitive class of elegance to any vanity it graces. Upon spraying, you get the rather cool top notes of violets infused with violet leaf absolute and the powdery orris tempers and rounds up the complexity of the scent. The added sophistication comes from the mixture of sharpness via the pink peppers, greenness of vetiver, sweetness of jasmine sambac, smoothness of suede and musk hitting the senses at various different points to punctuate the lingering powdery undertones. This latest TF offering is in essence a floral scent no doubt, but its ingenuity is in how the notes come together to produce a sophisticated elixir. In fact, when dried down, Violet Blonde bears a striking resemblance to the equally chic and sophisticated Balenciaga Paris (my all time favourite scent) but is with more violet and powdery than the latter - really, they're almost like a family singing the same notes on different octaves. Floral scents are too often thought of as being too wispy and delicate but don’t let the name of this latest offering deceive you into thinking that this scent will leave you a shrinking violet. Not by a long shot! 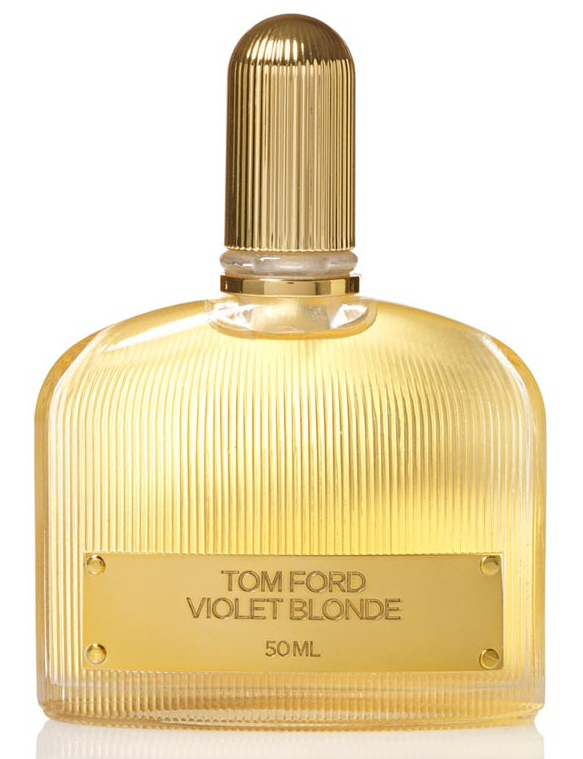 Violet Blonde is feminine, sophisticated and quintessentially old European glamour. It doesn't overpower but you will feel the quiet air of confidence linger and surround you when you wear this. Mark my words, because you've heard it first here, this will become an all time classic glamour scent. What type scents to you like to wear to feel glamourous? Mine is Lancome’s Trésor In Love and now Tom Ford’s Violet Blonde. RRP A$100 30ml | A$155 50ml exclusively at Tom Ford counters in David Jones city stores and David Jones Chadstone Australia.